Baz is goings to killer me when he gets home from his friendlies, as tonights is Mireilles hens nighter (I doesn't even gets the wholes concepter, whys would a groups of girls go outs to finds hens?) and Baz givereds me ones tasker before he wents round to his friendlies. 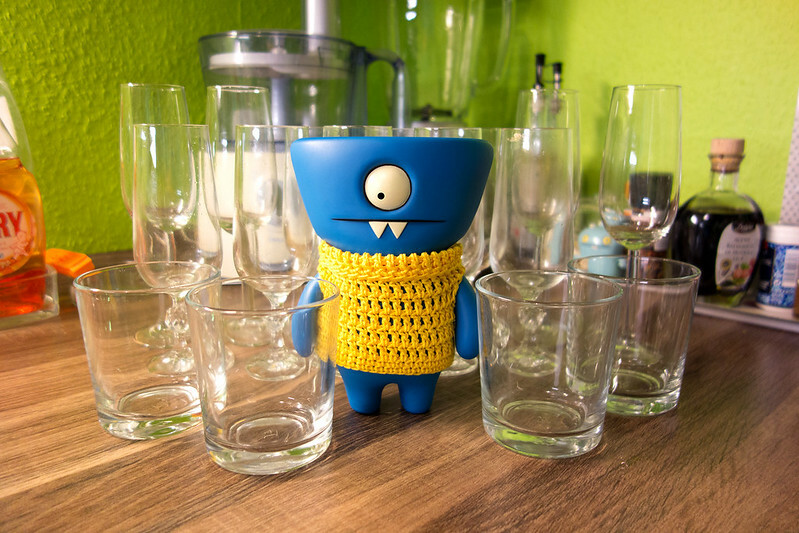 I hads to makes sure that Mireille wasn't alreadies stinkerings drunker before she leaves the cave, but unfortunatelies my jetlaggers knockered me outs this afternoons and when I wakereds up Mireille was gones, and I was surroundereds by empty glassers and champagnes bottlers! Oh poops, I better hides the evidencers quicklies before Baz gets home!